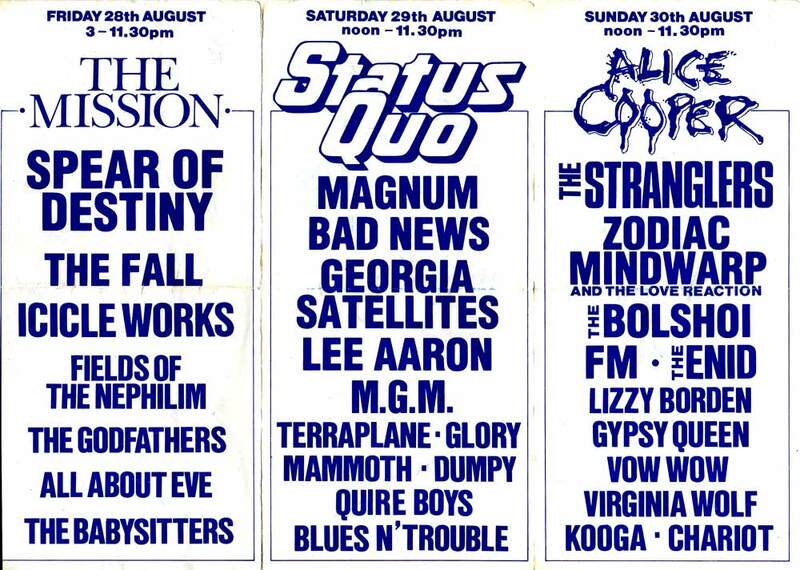 Once again the promoters had managed to trawl in a decent trio of headliners on all the nights. They were playing it safer on the weekend itself by bringing back a few old favourites- Dumpys Rusty Nuts, a bit of eye candy in the form of Lee Aaron and perennial prog rock weirdos the Enid, who seemed to be able to tame the Reading hordes by dint of their sheer eccentricity . A few other bands returned after success on previous years- The Stranglers were making their second appearance as were the exotically named Zodiac Mindwarp and the Love Reaction- certain members of which managed to get into a bottle fight with a portion of the audience, but who still delivered their entire set without sustaining too much damage. Semi legendary Japanese rockers Vow Wow made their second Reading appearance , under a new name (they used to be known as Bow Wow ) and joined by former Whitesnake bassist Neil Murray . They were pursued by a posse of cameramen who seem to have made some sort of doco on the band . To date this and a single camera shoot of MGM onstage seems to be the only film record of the 87 festival in circulation. ULtra silliness was represented in the form of spoof Metal Band Bad News, who featured three of the Young Ones cast and who were on this occasion joined onstage by Queen guitarist Brian May . Theatricality , and dare I say it , a bit of silliness to boot ,was provided by Sunday headliner Alice Cooper, who brought his usual glam shock rock paraphernalia , including robots, guillotines , as well as a plethora of costumes which livened up the last part of the weekend for the assembled fans . We understand that Spear of Destiny did not play due to Kirk Brandon's illness . anyone confirm ? Graham Parker was supposed to have played , was he a substitute, any details ? thanks to Chris Lee for the info ! 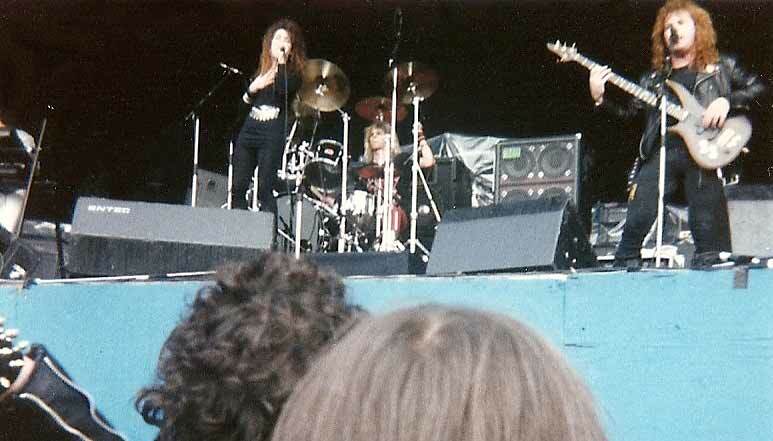 I was at Reading 1987 as a photographer and I am at the moment scanning my pictures for an exhibition. I saw Bad News play live at the Reading Festival. They were very impressive, the whole audience loved them. They gave them all their bottled drinks. Well I say gave, more threw them really. One of the most hilarious shows I've ever seen - and I've seen Steve Vai! 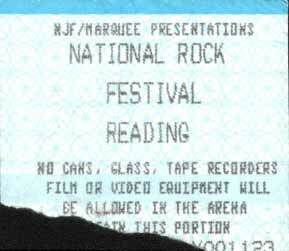 The first Reading Festival I went to was the one in 1987 - with Alice Cooper headlining on the Sunday. Back then you could buy a day ticket on the door which suited us fine as we were only interested in seeing Alice. I was 18 and had only recently passed my driving test. Not being festival regulars we didn't think about bringing a tent and ended up sleeping in the car which we parked outside someone's house. 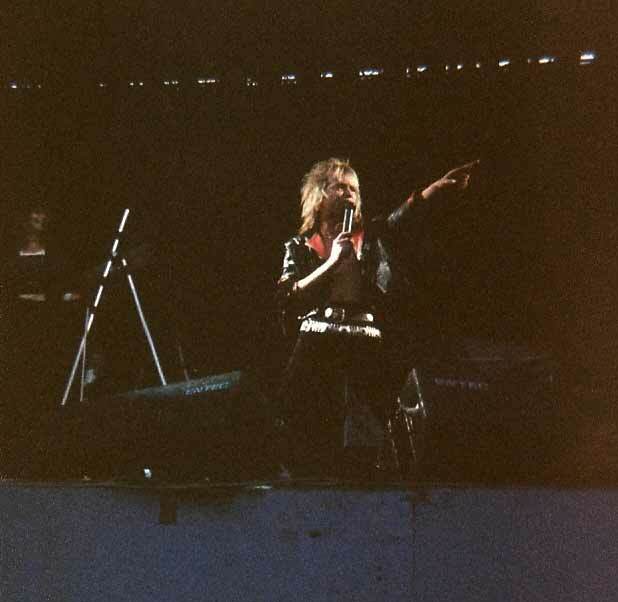 On the Sunday we woke early and set off to find a chemist where we could buy some mascara and eye liner to put on our 'Alice' faces.We drank throughout the day enduring clumps of turf and bottles of pee raining down from the back of the festival field. 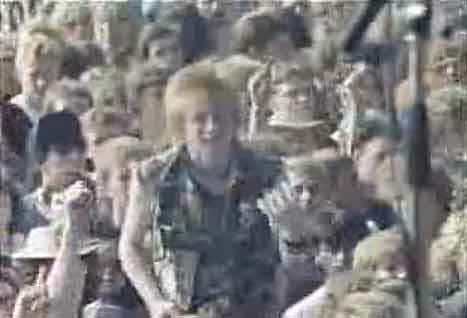 At one point there was a huge food/bottle/turf fight between a group of Punks and Rock fans. Well witty.Several beers later I remember watching the Stranglers and thinking - just get offff the stage. 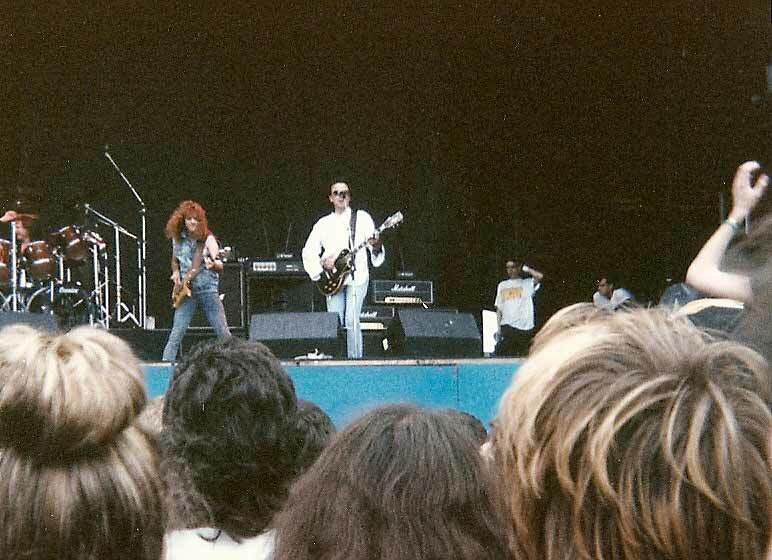 Reading 1987 - My first proper festival. Losing my mate who I'd travelled down from Scotland with in the crush to see "The Mish"... then realising, halfway through their set, that I was standing next to a guy I knew from back home. Not bad in a crowd of 30,000. Status Quo being surprisingly good... also The Fall on the same day... strange bill. Pompous prat of a lead singer from American Metal act "Lizzy Borden" being hit square in the face with a bottle of piss and storming off in the huff. 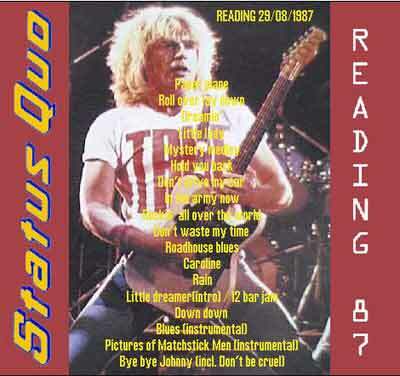 Just found your site and noticed you were asking for recollections of Reading 87. Well, on the actual band front, SOD didn't turn up on the Friday, citing Kirk Brandon having broken his wrist. I'm pretty sure the Quireboys and Blues n' Trouble reversed their order, causing me to leg it from the tent to the stage in double-quick time. I don't recall Dumpy's, Glory or Terraplane playing on the day - I would definitely have caught Terraplane and have no pics of them, so don't think they were on. Due to their profile at the time, Magnum got pushed up to second from last position - not a great position actually, as the excitement caused by the Georgia Satellites meant Magnum came off weak in comparison. I don't remember Kooga or The Enid making the final bill either. I like the Enid, so I would have certainly caught them had they been on. The Bolshoi were good, but very out of place and the singer's comments pissed a lot of the crowd off - cue the sharing of bottled fluids. Re Reading 87, saw on the web page you wanted confirmation of Spear Of Destiny's non appearance due to illness! I remember this well being my first festival. On the way into the grounds on Friday morning, we came across a group of die hard SOD fans going the other way, news was that Kirk Brandon had in fact broken his leg and they were going home without even seeing a single band!!! SOD did indeed cancel and having seen them live since I can say this was probably a good thing because it was one of the worst gigs I have ever been to. I remember that the Babysitters are probably still the worst band I have ever seen! Spear of Destiny did not play because Kirk Brandon had broken his arm. I can still see the announcement chalked onto a board at the entrance. 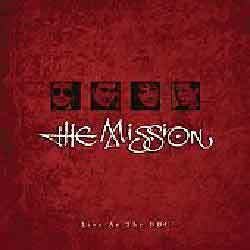 I don't don't remember seeing the Mission; I just heard them through an enormous amount of dry ice! 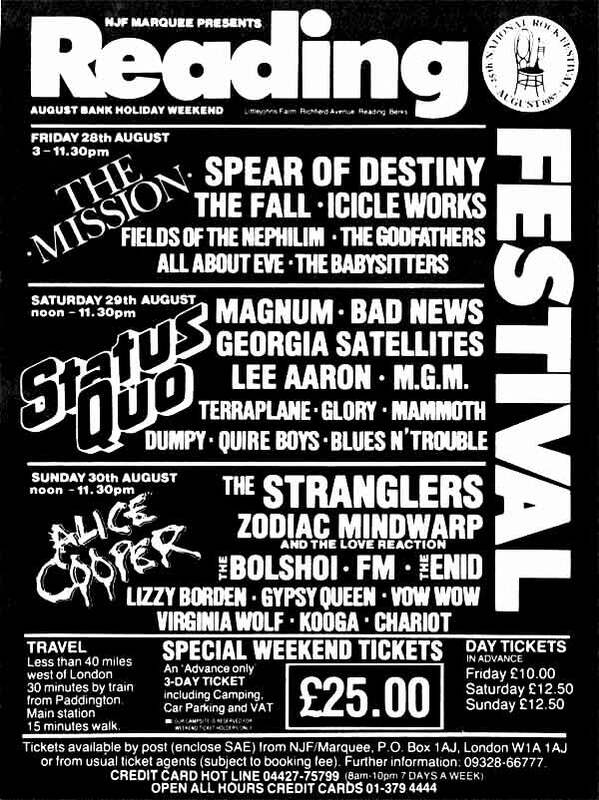 I bought albums by the Nephilim, the Mission, the Icicle Works, and Zodiac Mindwarp on the strength of this festival and I wasn't even a goth! I saw Lee Aaron at the Marquee (Hot to be Rocked indeed), The Georgia Satellites at the T&C in Kentish Town (remember Fly Post? ), Alice at the Marquee (wow! 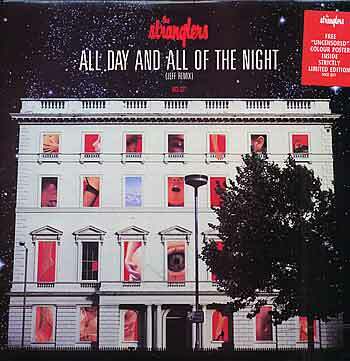 ), the Stranglers several times, and the Quireboys countless times. My Mum was quite distressed by my "I saw Bad News F**k Up at the Reading Festival" T-shirt. I still have a tape of the Georgia Satellites set recorded from radio 1. They were fantastic. A gallon of cider please and let's see who we see. Good times! Love the site, lots of great memories! 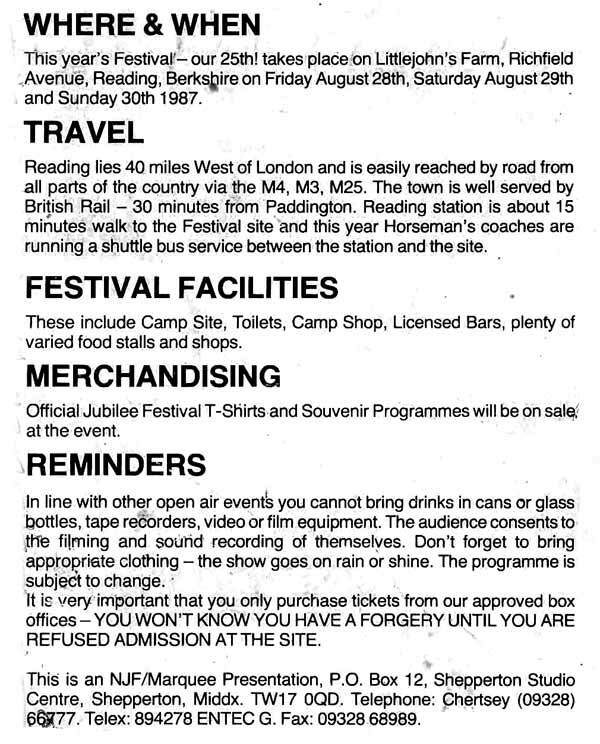 Thought I might share some recollections of Reading '87 with you, please cut and edit my ramblings as you see fit! 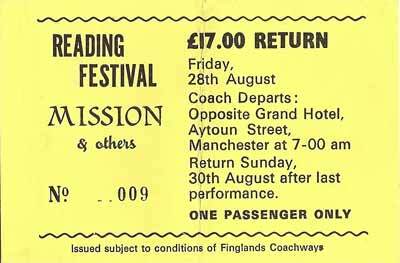 A friend and myself, both fresh faced 17 year olds, caught a coach trip from Manchester and we arrived at the festival early on Friday afternoon. 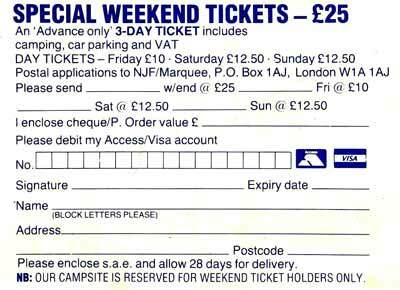 After swapping our tickets for wristbands (see attached scan), we went to find a camping spot - bit of a problem, my mate had forgotten to bring the tent! Never mind, the weather was great and we eventually found plenty of people we knew with room to spare in their tents. We spent the rest of the day boozing and taking it in turns to scavenge for combustibles so we could have a nice campfire, we had a lovely big pile of logs, branches, twigs and handfuls of dry grass and I set about building a big blaze. At this point two blokes strolled up and cheerily asked "Do you need any grass lads?". Now please understand, I had spent the previous few hours drunkenly focused on preparing our campfire, and so I replied "No thanks mate, we've got plenty", thinking to myself "Can't they see this huge pile of dry grass I have here - blind idiots!" They were a hundred yards down the campsite before I realized, by which time my mate had nearly wet himself with amusement! I can't tell you anything about the bands that played on Friday, it was all indie/Goth crap as far as we were concerned and neither of us had the slightest interest. Judging from what we could hear coming out of the Arena, we had no regrets. Saturday was a different story, lots of great stuff. M.G.M were pretty good, I seem to remember that Mel Galley still had the metal "claw" on his hand as a result of the accident that ended his time in Whitesnake. Lee Aaron was much better than we expected, although it was a bit dangerous down at the front of the stage because about ten huge bikers were having a dwarf throwing competition. The little fella was obviously one of the gang, wearing cut-down leathers, and he seemed to be enjoying himself as he flew though the air ! When Miss Aaron threw her damp towel into the crowd it landed right in the middle of the hairy bikers, it was like throwing a piece of raw meat to a pack of starving grizzly bears! My mate caused serious disruption during Lee's set when he spotted Bruce Dickinson standing at the side of the stage and pointed him out to me. Everyone standing around us heard him, and within 30 seconds the whole crowd was chanting "Maiden!, Maiden!". Lee looked a bit put out and poor old Bruce had to make a hasty retreat from sight. The Georgia Satellites were fantastic, guitarist Rick Richards ("the pride of Pickins County, Georgia!") was amazing and they really had the crowd rocking and singing along to "Battleship Chains" and "Keep Your Hands To Yourself ". Great band, shame they broke up. All together now, "F**k off Bad News! F**k off Bad News !" 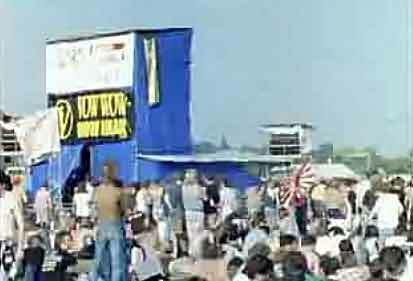 When Bad News had played at Donington the year before, a lot of folk were rightly annoyed that a "joke" band had taken the place of a "proper" band. 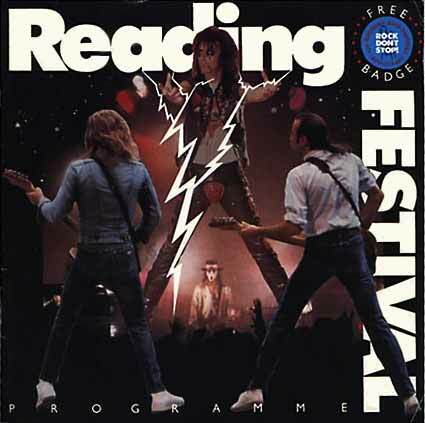 At Reading, as part of a much larger three day lineup, they seemed far more acceptable. Well, what I mean to say is that they were still rubbish, but no-one seemed too upset about it ! The sheer volume of crap that was launched at the stage when they came on had to be seen to be believed. Their act was pretty dire - "Look, Rik errr I mean Colin hasn't really got long hair, it's a wig and I'm going to pull it off !". Ho hum. Brian May popped up to play on "Bo Rap", no doubt thinking what a jolly jape it all was, when in fact a lot of people thought it was a desecration - particularly my mate who was a huge Queen fan. Next on were Magnum, the main attraction for me. 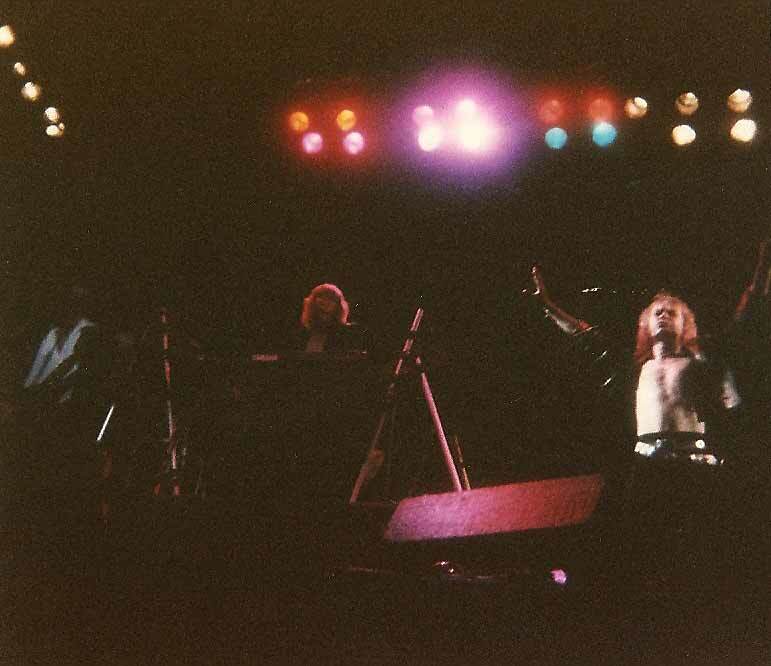 From 1985 through to 1988 Magnum produced most of their very best music and performed some of their best live shows. They had widened their fanbase with high profile appearances at Donington in '85, Milton Keynes (at Marillion's Garden Party) in '86 and now at Reading in '87. They had promised to play a couple of new songs, and we were treated to first airings of "Don't Wake The Lion" and "Days Of No Trust", both of which would appear on the "Wings Of Heaven" album released the following year. They played a great show, loved every second of it. 1988 would turn out to be Magnum's "greatest" year, sold out tours, a #5 album, 3 top forty singles, appearances on Top Of The Pops and numerous other TV and radio shows, expensive promo videos and a sold out show at the NEC Arena in Birmingham - the big time at last ! Unfortunately it was mostly all downhill after that for Magnum, but I have happy memories of their Reading '87 performance when they were a band heading for the top. Saturday's headliners were Status Quo, and our expectations were low. We had seen them support Queen at Knebworth the previous year, and they had been dire, every inch the cheesy rock/pop band. Well, what a shock ! Quo rocked at Reading, they were fantastic ! This must have been the sort of performance that they built their live reputation with in the seventies, I was just blown away by how good they were. "Marguerita Time" ? "The Wanderer" ? No chance, there was no room for cheesy nonsense in this show, just drivin' bluesy hard rock. I must confess that a lot of Sunday is a bit hazy in my memory, the previous night we had met up with a load of friends and overindulged ourselves somewhat. Hey, you're only 17 once ! About 20 of us staggered into the arena on Sunday morning, threw ourselves to the ground near the back and promptly fell asleep. That was when I got my festival souvenir, a one-sided suntan! 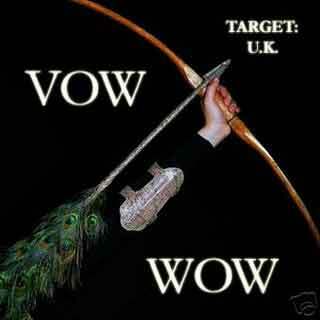 I remember waking up for Vow Wow, not that I had much choice - God awful racket! I borrowed some binoculars to have a quick perv at Gypsy Queen, they looked better than they sounded unfortunately. Lizzy Borden didn't leave much of an impression, and as for The Enid - they may have been a Reading institution but I was just bemused, they were very strange ! I notice from the festival poster that FM played. I liked FM, I had their album and I had seen them support Magnum the previous year, they were really good. The thing is, I have no memory whatsoever of their performance at Reading. I don't remember hearing "That Girl" or "American Girls", did FM actually play or did they cancel? Perhaps I'd popped to the gents or something. Mind you, I don't remember The Bolshoi either ! 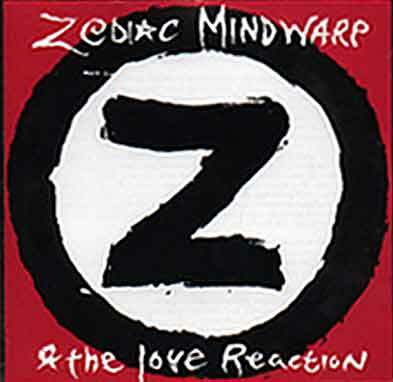 Zodiac Mindwarp and the Love Reaction, everybody thought they were going to be the next big thing. They looked really dirty and grubby, and their guitarist was called Cobalt Stargazer! I remember them playing "Prime Mover", they were pretty good, shame it never really happened for them. I do remember watching The Stranglers, but I wasn't a fan and I didn't know any of their songs with the exception of "Golden Brown", so they didn't do much for me. Lots of people thought they were a bit of a strange choice for that year's Reading, I can think of dozens of bands that I'd rather have seen instead. Sunday headliner - Alice ! Everybody was looking forward to this, and we weren't disappointed. What a showman, he commanded your attention and we followed his every sinister move. Highlights for me were "Only Women Bleed" and "Teenage Frankenstein". 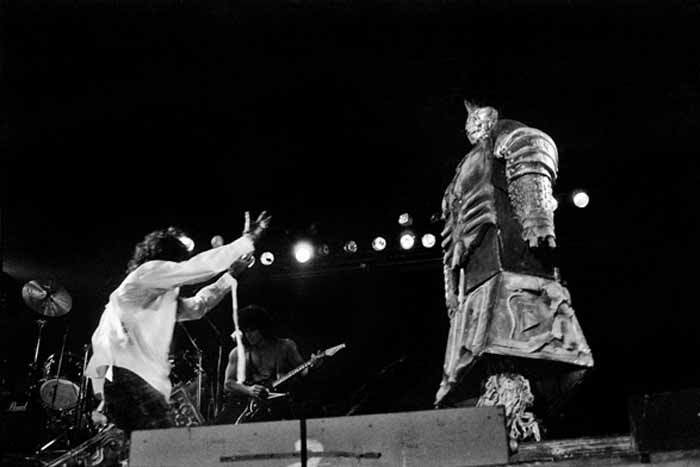 During the latter, Alice constructed a huge robot from separate arms, legs, torso and head. When the head went on, the eyes lit up and the whole thing started to lumber around the stage in murderous pursuit of Mr Cooper. Then at the end of the song Alice kicked the whole thing to bits, but there was no-one inside !! Great trick ! 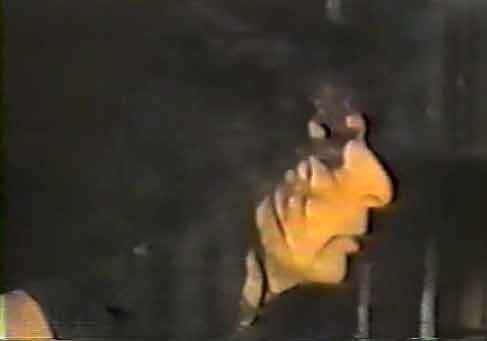 Kane Roberts, Alice's guitarist, looked like Mr Universe but the guy could sure play. I have a vivid memory of Alice in white tophat and tails, brandishing a cane and belting out "Elected" in a blaze of lights - a great show from a class act. And that was it, my one and only visit to Reading, I remember it (or most of it!) with great fondness. 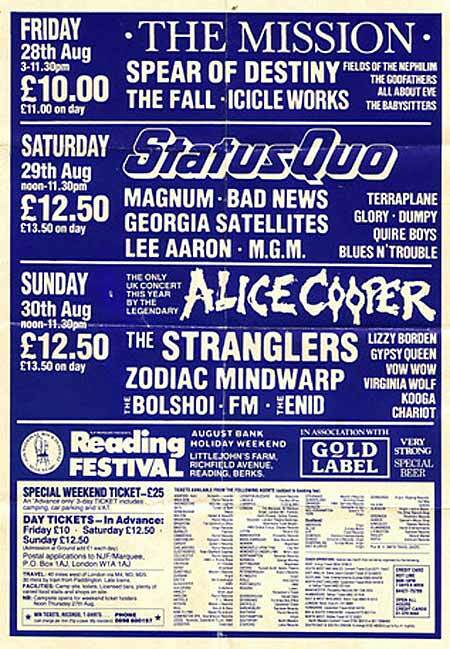 I was always a bit pissed off that I never got to see the really great Reading lineups of the early 80's, but I'm glad I got to experience what was probably the last decent ROCK festival at Reading. Meatloaf and Bonnie Tyler? No thanks! I was reminiscing today about my festival days. 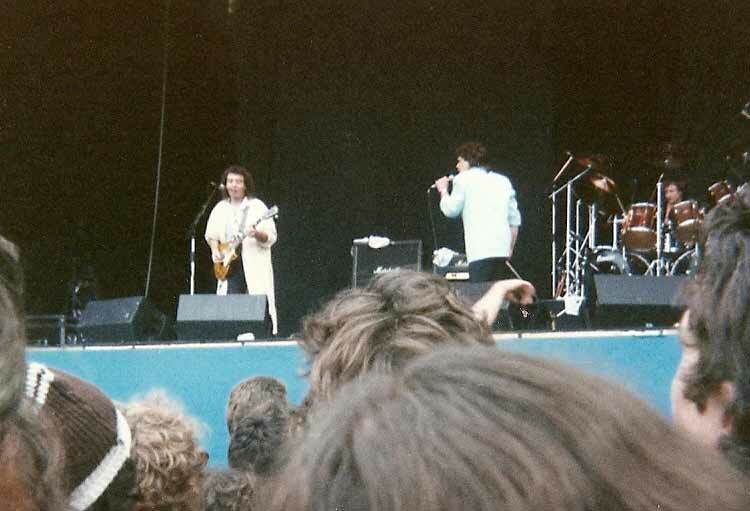 I was at Reading in 1987 and remember it well. In fact in my attic I have the original ticket, flyers from in and around the festival, and the programme. The highlights of the festival in numerical order from 10 to number 1. 10. The call sign of the Mission fans - "Esssssskimmmmooooooo"
9. The Godfathers - cracking set played with attitude. 8. The massive plastic bottle fight and the poor bugger in the middle of it all. 1. Glory - the lead singer losing his cool and picking up a monitor and trying to throw it into the crowd and getting tackled by the stage hands and bouncers. It seems the BBC may have recorded a few of sets from 1987, although unlike 86, they did not record the headliners. Audience recordings proliferate for this year ,almost all the sets out there seem to be sourced from audience, probably because there wasn't as much FM coverage. If you know of any sets that exist we have missed please send us details. Roadhouse Blues > Shakin' All Over > The Price of Love. Audience sourced audio and video tapes exist, recorded from rear of arena so quality poor to average.